Once you get hooked on snorkeling and scuba diving on cruises, you begin to study itineraries with a view to finding the best spots to indulge your underwater passion. 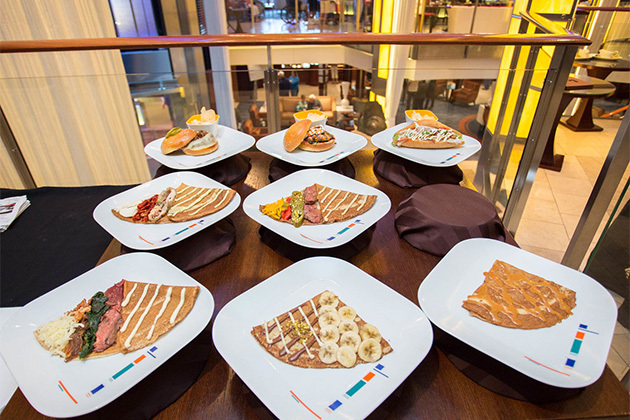 While the Caribbean is filled with opportunity, and an obvious first choice for enthusiasts of all levels of expertise, the rest of world truly can be your oyster if you pick the right ports. In areas where snorkeling and diving are popular pastimes, ships' excursions are usually offered, making your adventures easy to arrange. At other destinations, you might be on your own when it comes to booking a dive trip or finding a suitable snorkeling spot. This is especially true in areas with so many things to do that watersports rank low on the priority list of most passengers, as is often the case in European and Asian ports of call. There are a few cruise destinations with snorkeling and diving that may surprise you. Read on for a guide to finding the best spots around the world to get under the waves. Alaska might be one of the least obvious places you would expect to go snorkeling or diving, but those who have done it say it is an adventure worth experiencing, and one that comes with bragging rights that most other snorkelers cannot top. 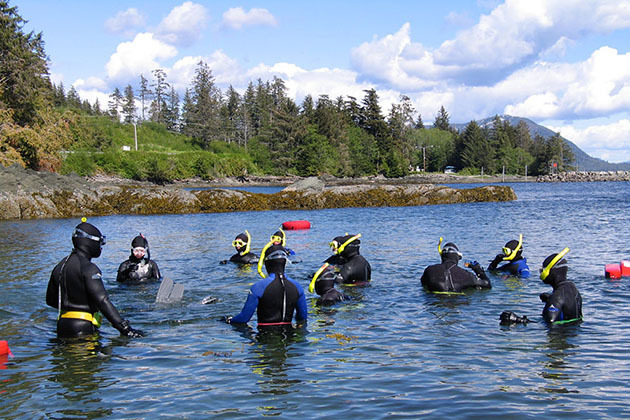 Snorkeling excursions through most cruise lines are available in one or more ports, usually Ketchikan, Seward and/or Sitka. The excursions take you by bus to an easy walk-in point of entry in protected coves where you snorkel in and around kelp beds looking for giant starfish and sea urchins. Expect water temperatures in the mid-60s. Heavy wet suits or dry suits are provided to keep you warm and cozy. Scuba diving in Alaska is a bit more complicated to arrange than snorkeling. There are dive shops in several Alaskan cruise ports where advanced cold-water divers might be able to schedule a boat trip. Seward is one such possibility. What You Might See: When snorkeling and scuba diving in Alaska on a cruise, expect jellyfish (often in abundance, but usually a non-stinging variety), starfish, crabs, urchins, sea cucumbers and above-water wildlife like eagles. These two clusters of islands are often stopovers on transatlantic cruises: the Azores are an autonomous region of Portugal, and the Canary Islands are an autonomous community of Spain. Both regions have ample opportunities for snorkeling and scuba diving in Europe's Atlantic Ocean on a cruise. Ports might include Ponta Delgada, Horta or Praia da Vitoria in the Azores, and Arrecife, Las Palmas and Tenerife in the Canary Islands. Expect water temperatures in the mid 60-degree range in the winter months and the 70s in the summer. Most ships do not offer diving or snorkeling excursions, but you can set up independent adventures with dive shops or tour operators in port. Boat trips specifically for snorkelers are available in both areas, and beach snorkeling is possible around rocky outcroppings if you bring your own equipment. Tours for snorkeling with wild dolphins are available in Ponta Delgado. Diving in the Azores is easy to arrange in all three ports of call, with scuba centers located near the ports offering boat trips and rental gear. Shark diving expeditions are available in Horta. In the Canary Islands, dive shops are located near the ports of Arrecife and Las Palmas. Tenerife also has diving opportunities, but most dive centers are more than 20 miles from the cruise port, making it more difficult to set up a dive without a rental car. What You Might See: Look for whales, dolphins, manta rays, stingrays, large groupers and tropical fish like parrotfish, garden eels and puffer fish, typical of the Atlantic. In the Greek islands throughout the Aegean Sea, cruisers often overlook diving and snorkeling as a port activity. Islands to consider for such water-based outings include Mykonos, Crete and Santorini. Water temperatures are in the upper 70s during most of the cruise season. During the warm months, many cruises offer excursions that combine snorkeling with sailing, kayaking or a beach break. If you bring your own equipment, reasonably good snorkeling is possible from almost any beach. Some ships offer scuba excursions, but regardless, dive shops are located near the cruise ports on all three of these islands. You might be asked to arrange your own transportation to the dive shops, but in many cases, they will provide port pick-ups. What You Might See: Don't expect large numbers of colorful fish. The beauty of these volcanic islands extends beneath the water, so expect rocky structures with small schools of fish in crystal clear water. Snorkeling and diving are popular pastimes for European vacationers in Croatia. With some advance planning, the ports of Zadar, Split and Dubrovnik are ideal for underwater exploration during the summer months. Expect water temperatures in the mid-70s throughout most of the summer. Snorkeling is possible from the pebbly beaches of the Croatian coast. Some ships will include snorkeling in beach break or water sports excursions, but with your own gear, you can explore from almost any beach on your own. It is worth noting that beaches in Croatia are not generally sandy, but a mix of small and medium pebbles, so water shoes are advisable for beach entries. There might also be steps required to access the water from a seawall, particularly in Zadar. Dive operators are abundant in these three ports, making it simple to schedule a dive for your cruise stop if an excursion is not available through your ship. Boats will likely take you beyond the port into the myriad islands lining the Croatian coast. What You Might See: The multicolored pebbles and stones of the shoreline continue into the water, creating a kaleidoscope of colors reflecting through the clear water. You might also see colorful coral, small fish, octopus and urchins. There are rocky cliffs and even wrecks for divers to explore. Additional European ports to consider include Elba, Portofino, Sardinia and Nice. The island nations of Southeast Asia are known as a scuba diver's paradise, but it is not always easy to plan snorkeling and scuba diving trips in Asia on a cruise. 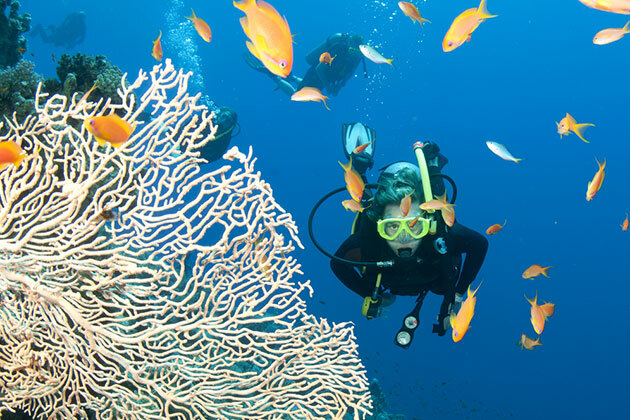 There are specialty diving cruises like Silversea's usually-sold-out Scuba Expeditions, which take you to some of the world's best dive locales. Small-ship cruises, like Star Clippers or Windstar, are also ideal for underwater activities in Asian ports. On most other cruises, you are on your own when it comes to arranging diving and snorkeling. Water temperatures are typically in the 80s year-round. The ports of Bali and Komodo Island offer easily arranged dive and snorkel trips, even when your ship does not offer excursions. 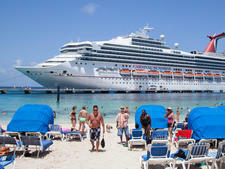 Most cruise lines will offer snorkeling, often combined with beach breaks or other water activities, but scuba divers will usually need to book independently. The goal is to find a dive shop that offers day outings rather than the multi-night dive trips that are typical in Indonesia. What You Might See: The reefs are colorful, healthy and teeming with sea life, both large and small. Besides fish of all variety, you could see turtles, crabs and even manta rays and sharks. Dive shops in the port of Male offer easy options for cruise-ship divers, but snorkelers are usually left with limited choices other than excursions offered by the ship. It might be possible to snorkel on a dive trip with advance arrangements. What You Might See: Expect to see brilliant reefs with large schools of fish. Turtles are abundant and there is always a possibility of seeing reef sharks. The port of Phuket is ideal for both divers and snorkelers, with plenty of choices of day-trip operators, some of which cater to cruise passengers. 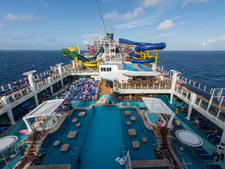 Most ships will offer snorkeling excursions and a few offer scuba diving. 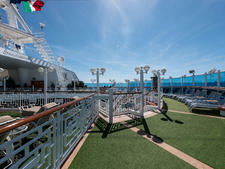 International tour companies like Viator also have options for cruise passengers. Tour operators in Phuket work with all skill levels, including novices. More advanced divers and snorkelers will also find boat trip options that suit their skill level. Currents can be strong in some locations, but surface conditions are generally calm. What You Might See: The marine life is abundant here, with turtles, eels, clown fish, leopard sharks and possibly manta rays and whale sharks. Additional Asian ports to consider for diving and snorkeling include Kuala Lumpur and Lombok. Scuba diving and snorkeling in Hawaii while on a cruise are everything you would expect. The corals are spectacular and the fish plentiful, plus tours are easy to arrange. Most ships will have excursions at each port, but even if yours does not, there are tour operators to rely on for independent booking throughout the island chain. Water temperatures range from the mid-70s in winter to the low 80s during summer months. If ever there was a cruise destination where it is worth having your own snorkel gear, it would be Hawaii. With your own mask, fins and snorkel, you are free to catch a taxi to almost any beach to enjoy snorkeling on your own. One tour worth considering is on Maui, where a Molokini Crater snorkeling (or diving) trip takes you to the iconic partially submerged Molokini Crater. What You Might See: Fish counts are high throughout Hawaii. Turtles are plentiful and even manta ray sightings are commonplace. During winter months, you might be lucky enough to see or hear humpback whales while underwater. Don't be surprised if you see tiger sharks or white-tipped reef sharks. Educational shark cage tours that focus on shark protection can be arranged on Oahu from the port of Honolulu. Snorkeling and scuba diving coastal South America on a cruise is tricky; it's primarily something to schedule either before or after your South American cruise. 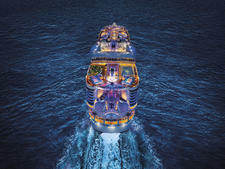 The reason is that the good stuff is too far offshore to be possible for day trips from cruise ships. Cartagena is a good option for a pre- or post-cruise stay, as is Salvador, Brazil. The lack of easily accessible South American diving and snorkeling via cruise ship extends even to this famous island chain off the coast of Ecuador. The key is finding the right trip to suit your expectations. Many small liveaboard boats will cater exclusively to advanced scuba divers. For a more typical cruise experience, Celebrity and Silversea operate expedition ships in the Galapagos, both with opportunities to snorkel from Zodiacs, but diving is generally not offered. Pre- or post-cruise, land-based diving is available from Puerto Ayora, but comes with its own set of challenges. Water temperatures are in the low 70s. What You Might See: Don't expect coral reefs, but do expect to see turtles and sea lions and possibly sharks or even manta rays and penguins. The continent and its nearby islands offer some spectacular snorkeling and scuba diving in Africa on a cruise, but those activities are often overlooked amid so many other choices, like wild animal safaris. There are opportunities to get under the waves at a few African cruise ports of call. Look for itineraries stopping in Cape Town, Nosy Be on Madagascar, Zanzibar or in the Seychelles, at the port of Mahe for the easiest options. Die-hard enthusiasts might be happier spending pre- or post-cruise time in the departure ports of Cape Town and Mahe in order to gain time for dives. Water temperatures range from a cool 70 degrees near Cape Town to a comfortable 80 in the Seychelles. Few ships will offer snorkeling as a separate excursion in African ports, but tours can include beach breaks, so having your own snorkel gear along could prove fruitful. Scuba diving in African cruise ports requires independent arrangements in most cases. Dive shops with day trips and with transportation are common in Cape Town. The ports of Zanzibar and Mahe also have dive shops with easy-to-schedule arrangements that work within the confines of a cruise port day. What You Might See: Expect to find brilliant reefs teeming with life. Just as Africa is known for large land animals, the waters surrounding it are known for large marine animals. Look for seasonal visitors from the open ocean like whale sharks in October and November, manta rays May through October, and schooling hammerheads in December and January. And, of course, the South African coast is also well-known for great white sharks. 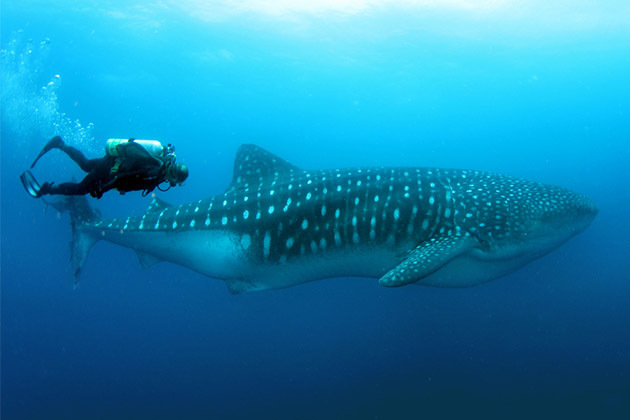 Shark cage tours are generally only possible for land-based divers due to the constraints of time and distance. We saved the best for last. Snorkeling and scuba diving in Australia and the South Pacific on a cruise is relatively easy to arrange and possibly the best you will experience in the world. Cairns, Port Douglas, Hamilton Island and Arlie Beach are the ports to look for if the Great Barrier Reef is on your cruise scuba or snorkeling bucket list. Most major cruise lines call at Cairns, with the other three ports being a bit harder to snag. Stays before or after your Australian cruise are the ideal way to spend ample time exploring the reef beyond a typical single day in port. Ships' excursions are recommended here to ensure that you can return to the ship on time because many independent scuba and snorkel boat trips are full-day events, which might not get you back onboard your ship before departure. Water temperatures range from the mid-70s from May to September, and can be as warm as the mid-80s from October to April. Beyond the Great Barrier Reef, some Australian cruises also include ports of call in Vanuatu and Alotau, Papua New Guinea, where snorkeling and diving are among the array of activities to enjoy. What You Might See: Abundant coral reefs with high fish counts. Expect to see turtles and possibly reef sharks and sea lions. Diving and snorkeling in Fiji are suitable for all skill levels and easily arranged in the ports of Dravuni, Suva and Savusavu. Most ships that call here offer snorkeling as part of beach break or water sports excursions. Many ships offer scuba diving as well, but independently booked trips are also possible. Water temperatures range from the mid-70s to the mid-80s. What You Might See: Expect healthy reefs with abundant marine life. Fiji is known for manta rays and large schools of hammerhead sharks. Snorkeling and scuba diving in Tahiti is quite easy from a cruise ship. Small-ship cruises like those of Paul Gauguin and Windstar cater to water sports enthusiasts in ports like Papeete, Moorea, Rangiroa and Bora Bora. Larger cruise lines that call at these ports usually offer snorkeling excursions and may also offer scuba diving excursions, but independent tour options are abundant. Water temperatures average around 80 degrees year-round. What You Might See: The waters off the islands of French Polynesia are known for abundant large marine animals like sting rays, manta rays and sharks. Expect to see turtles and schools of tuna and jacks among the reefs and wrecks.